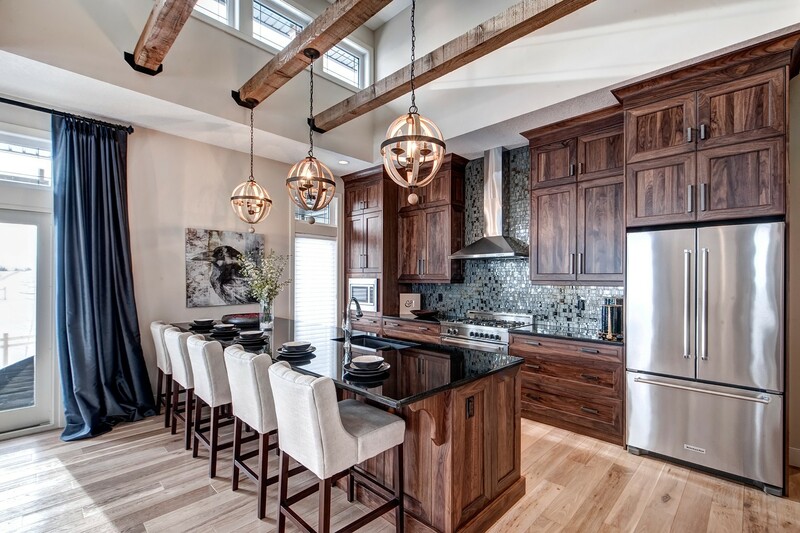 Baywest Homes, with over 30 years of experience as a boutique custom builder, has established itself as one of Calgary’s most trusted and established homebuilders. 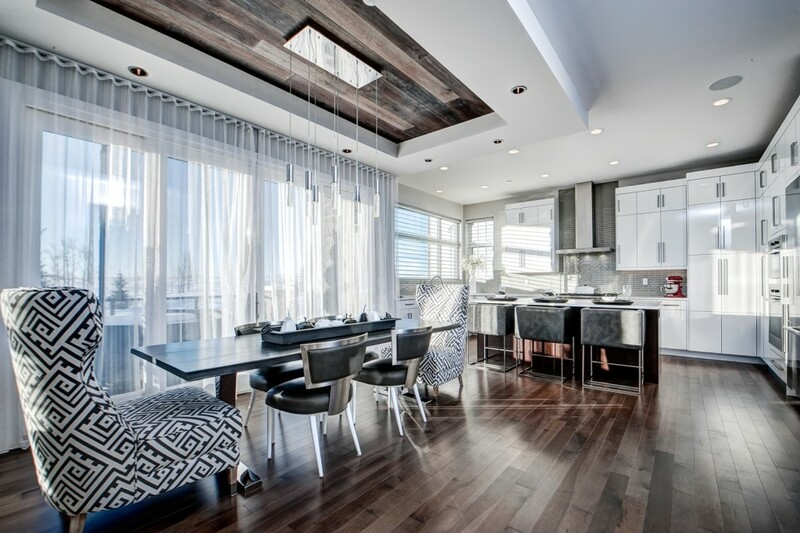 Catering to homebuyers in new communities throughout the Calgary region, as well as those looking to create something new in established neighbourhoods, Baywest focuses on Move-up, Luxury and Custom home builds. The Baywest purpose, beyond all others, is to serve our customer’s first. We understand it is not just about what you build, but how you build it. 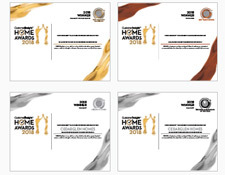 From superior specifications to award winning designs, we guide home buyers through the process of developing a style and plan that works just for them. Baywest’s “Made to Measure” philosophy ensures we deliver a home that you will love and live in, longer. Together we craft exceptional homes that serve the unique needs of our homeowners. Over all we are very happy with our new home. Overall, we are so pleased with choosing to build with Baywest - we love our lot, Jan (and Amanda) was exhaustive in helping us design our dream home, standards were impressive and Asia was invaluable guiding us through them, and we were well taken care of during the construction phase with Jamie. So far we are very impressed with our experiences with Stan. During our pre-possession survey we referenced having a negative experience with one supplier - we did not mention the specific supplier, as we said the issue was handled swiftly and resolved. However, we continued to have issues with this supplier during our pre-possession and possession walk through - the supplier is Nu-Way. During the selection process in spring 2018, and with what we discovered during possession, we had an exceptionally frustrating experience. During the selection phase we had numerous issues surrounding pricing and product availability. Then at pre-possession/possession we noticed the 2 ensuite shower niches were left unfinished with "raw" cut tile edges exposed. Long story short, Baywest escalated this and found a satisfactory resolution (mostly because we don't want to live through having tile redone after moving in) and offered to extend the warranty by a year to give us peace of mind. Nu-Way's response to us was unacceptable and added to the already frustrating experiences we had with them. It also seems they added schluters in some places where they could have used a finished tile edge, thus meaning we will (probably) long-term have to deal with issues due to the schluters. Very positive experience and I would choose and recommend Baywest again. Overall Baywest has been an excellent choice, our few slips have been with supplies and any issues we have had with Baywest (wrong windows, questions) have been addressed immediately and very much to our satisfaction. Baywest does an amazing job with their sales staff experience. Enjoyed working with the building Supervisor & his assistant. Jodi and show home staff was really helpful and were available for help. Chris was always helpful. Upon moving in, there were some items that I wish had been brought forward as options or a recognition that you might need these. For example- towel bars. To have one small towel bar in a master ensuite doesn't make sense. As well, we found out that had we talked to Simple Spaces earlier, we even could have had a towel bar put on the shower door. That would have been appreciated. Another was the option of having pot lights downstairs (and with dimmer switches). It would not have been a pressure sale, just here are what other buyers have either considered or done. Thank you thus far for everything, and we hope to continue on this good vibe with Baywest! We are excited about our new home that we have built with you! It's a positive experience to work with everyone. I would like to add that the overall building and attention to detail was great. Our construction foreman was very well organized and delivered on his promises. The only area of disappointment was the cleaning of the home. The windows ( tracks and cupboards) and exterior cleaning was disappointing. The overall satisfaction of purchasing a home is greatly diminished when it is not cleaned properly. We have had to clean items that should have been done by the builder. Overall it was really positive experience. There are still things that need fixed but they are trying to work on them promptly. I would recommend Baywest to friends and family. Overall it wasn't a bad experience. I felt like I never had any type of ...I felt like I was really backed into a corner, there is no give or leaway when it came time to build as far a making changes. Overall a great experience and our home is a quality beautiful product. Some minor inconveniences but we are confident these will be resolved. Jody was great in providing us direction and recommendations, Chris was very good at keeping us up to date with the progress and his attention to detail to ensuring we were provided with at quality home. Russ got top marks. Brian addressed all our concerns. Russ very good dealing with customer experience. Great communication. Happy over all with how Baywest handled it really well. If we were looking to build again we would choose Baywest. The ladies at the show home were fantastic to work with - all of them. They were always helpful, informative and very nice. I truly love my new home. the rep Jan & Amanda where great Jamie was great Rus has addressed our concerns. This whole team was great to deal with. Would just like to thank all the staff of Baywest whom we have met for there professional treatment and understanding during our process of buying a new home. The help of an in-house designer on the day you choose interior finishing materials would have been helpful. It is quite overwhelming to choose all items in one afternoon. Also we were surprised with the outside exterior finishing that was chosen for our home. We thought all homes would have Hardie board. We didn't know that all homes would be different. This should be communicated up front before lot is purchased. Thanks to the sales staff for their excellent service and support throughout the process. If it wasn't for Jodi, we may not have built with Baywest Homes. we are very inpressed with the way we where handled after the first visit at the showhome. and all the way trough the process we are looking forward to moving into our new home, i wish to thank all the staff thatwas involved. There are things that could be done better and even things not finished but I would still say working with the team at Baywest has been good and we are happy to call this house our home. If someone was able to help solve the last few items it would go a long way towards this being a 8-10 review across the board. Especially the front window as that one is hard for us as we wish we had the light from a real window and now that it broke a couple times and we see a house with the same elevation down the street that doesn’t have the faux window like we do it is the item that hurts to know we could have had it the way we wanted and this wouldn’t be happening. If someone can help with this there is still time as the resolution has not taken place yet and we would be so grateful to have a better option than to drill into our house for venting to keep the faux window from breaking a third time. Thank you for taking time to do these reviews. We hope they are helpful to you. Thanks for a great experience. Sales staff were amazing. A special shout out to Jan, Amanda and Jade for taking great care of us and working with us on creating our home. Heidi and Megan are excellent representatives for Baywest. Very positive and on top of things. We recommended them to a neighbour looking for a change and this has resulted in a sale. Looking forward to a positive experience as we see final work being completed on our home prior to taking possession in a month. We are extremely happy with our home ! Thank you! We commend Baywest for hiring such talented, customer focussed personnel. It has been a delight working with Heidi and Megan from the Sales team. They are shining stars and wonderful ambassadors for Baywest. Chris Thomas and Russ (Warranty) have been wonderful. Again, they are very customer focussed individuals. We realize some things are out of their control when scheduling the various trades. Communications with the 4 individuals is excellent, emails are responded to quickly and always with a courteous 'can do' response. We are also realistic, we understood there would be a few deficiencies and we have confidence that they will be addressed and fixed. We love our new Baywest Home! Ashley Belant was a product adviser, which was a huge benefit in building the house. Alternate flooring supplier, After 8 Interiors, did a wonderful job. We were disappointed we had to change the design of the house because of architectural controls. When we look around the area, it appears it only affected us. Overall. Love the quality from Baywest. Really appreciate everyone involved! Hindsight is a wonderful thing. I would have preferred to move into the house with more of the exterior completed. However, I recognise that the timelines were tight and mostly driven by the purchasers and the climate. I do feel this move would have been very problematic if we had taken possession of the house in this condition in the winter months. Overall we are very satisfied and we absolutely love our house. Overall very positive aside from the two items that are fairly minor. The response to our concerns about the odd finished elevation of the sidewalk leading to the front step was a complete redo that resolved our concerns and actually resulted in a better end product than originally designed. when we questioned the sloppy approach regarding the drip flashing the stone was removed again and the flashing was replaced again leading to a very satisfactory outcome. Sandi Newell has been incredibly supportive and helpful during the design stage. As I designed this home myself, she and I spent many hours together discussing design issues. She was also instrumental in ensuring that the project came in on a budget we could afford. Without her this project never could or would have happened. Also, Bryon was very helpful during the construction process and during the post construction follow ups Stan has proved himself irreplaceable up to this point. We built a home in Cranston a number of years ago with Baywest an were very pleased with the quality. Our new home in Mahogany is going to be perfect for our lifestyle. Heidi and Meghan are amazing and an absolute pleasure to work with. Like I said they are ROCK STARS. We are very happy with Baywest. Very little issues. It was easy and good quality. We would use them again. it was a great experience. even speaking to the guys that are framing the house beside us. They said they wish they would have heard about Baywest earlier because they have been so good to work for. So it seems like Baywest builds a quality product from start to finish. One the previous page the first question regarding overall experience - I think it would be help if you broke out quality of materials and quality of workmanship. Overall we are very happy with our new home and our Baywest experience. We would highly recommend to family and friends. We have been in our new house built by Baywest for nearly a year. We couldn’t be happier with our house. Its truly our dream home - a high quality family home, located in Oakridge, the older neighborhood we love. Everyone at Baywest was fantastic. Glenn was honest, knowledgeable and straightforward. We never felt pressured to upgrade and always received honest answers. Jordan was a great site manager. He was highly responsive and ensured that everything was timely, as well as completed to the highest standard. The communication from both was excellent. We were kept well informed throughout. We have had many people go out of their way to tell us our home is beautiful and it’s style fits perfectly into the neighborhood. We have absolutely no hesitation in recommending Baywest! Our overall experience has been very positive. Follow up on outstanding issues since we've moved in has been very good as well. Baywest has been excellent since day one. I was incredibly impressed with the customer service, the interior selections and all the people involved in the process. Riley and Jodi have been excellent throughout. They are both very friendly and it has been great to deal with two very caring people. I would definitely recommend baywest homes to my friends and family. This is our third custom build home. I have very specific needs & tastes that are very difficult to satisfy, especially within a constrained budget. I would not be building this home if it was not for the wisdom & guidance provided by Jan Williamson. I am thankful for Amanda's guidance to introduce us and suggest we meet with Jan. Overall very good. The only issue as reflected in the scores for cabinets was that Tanys was great but it seemed she was overworked and had too much on her plate. So far this has been the best experience building we have had! Just in general, everything was great! Everyone made us feel special. Amanda helped us through the deign phase and really read us well. She helped us design the house exactly as we wanted. having it right from the start and then dealing with everyone through the process made everything really easy and stress-free as possible. We did not make a mistake to pick a BayWest ! Special Thank you to your Sale representatives Jan and Amanda ( Silverado ). They made our building a new house experience enjoyable. The sales team, specifically Jody, had exceptional customer support. He was one of the main reasons why we went with Baywest. The sales' team ability to support the customer past the selling stage was beyond appreciated and I would recommend using Jody anytime. I know he is reliable and I can count on him to provide me with the information I need to know in regards to how the construction of my home is going. The people at Baywest have been an absolute pleasure to work with. Dawn from head office was extremely engaging and responded to my emails promptly. We would recommend Baywest to other families. Their customer service is beyond exceptional and their ability to bundle different offerings to entice the customer was well developed and this includes their designer Ashley from Debutante design. We are very happy with our home. Very few warranty issues have come up and the sales staff (Jan) were excellent during our design process. All of the staff that we dealt with were excellent. Sandi and Ellen made the process of buying our first home easy. The construction supervisors were helpful in understanding the building process. We are a little disappointed with some of the 3rd party services. ie. Window coverings and A/V and electrical. Still waiting on some of our house to be completed. We have been impressed with the experience with the Baywest Team. Couldn't be happier with the house and the customer service - before, during and after the build. It really felt like nothing was too big or small of an ask. We loved our experience building our home with Baywest. The quality of work has been great and we get many compliments. The best part of the experience was the service we received from start to finish. Jan and Amanda at the showhome we amazing and Jamie and Russ have been great at addressing our concerns. We wouldn't hesitate to recommend Baywest to others or to build with Baywest again. While many marks will contradict the mark of a 10 for us recommending Baywest to friends we are confident in doing so because of people like Sandi and Wayne. They make sure we know they care and will fix everything. They are both amazing assets to your team and are a huge reason well tell people to buy with Baywest. Although surveys tend to draw out comments on the worst of things, overall we are very pleased with Baywest and the home we purchased from them. Overall, we had an excellent experience with Baywest. We had great customer experience with all areas & we never felt like we were being overcharged for any items in our home. We would happily recommend Baywest to anyone who was looking to build. Although we visited many of the same suppliers as we did 4 years ago we thought the representatives from those suppliers were as good as or better. Legacy was very good to us as we spent a lot of time there. Ellen at Pacific was a pleasure to work with and Len at Canyon was definitely an upgrade. In particular, at our request, After 8 Interiors, was our choice of flooring providers. Kathi Bordeleau was phenomenal to work with - forever accommodating and great with color and ideas. We will definitely refer everyone interested to After 8 Interiors. Kudos to Regal and Artistic Stairs and theirsales people. I feel that we were very well informed on the front end, Jan and Amanda really took so much time and put so much work into this process for us. To inform us and keep everything on the "up and up". I had an absolutely fantastic experience with building a home. I would do it again in a heart beat and I would absolutely recommend Baywest above any of the other builders we had spoken with prior to choosing Baywest. I'm so glad we had this experience and even when things were not working properly or needed repairs, I felt confident and trusted in this company to stand behind their product. Everyone we have over is so amazed at use of space and efficiency in our home. It's been a pleasure working with everyone. Thank you! I absolutely LOVE my home. I have given personal feedback to Jodi, Dawn, and Clint. They have brought our house together beautifully and I couldn't be more grateful. We like the community very much. It was a good move. The builder said what they would do and more. We built with them before but this was a good experience. The team was good and the after service has been right on the mark. Ultimately it was a good purchase and we enjoy it. Thank-you. Bryon Matheson was really great! He took care of our home like it was his. Really appreciate all his work! We have been very happy and impressed and are constantly telling others about Harmony and Baywest. Just wish we could have had less AC demands. It would be nice if AC demands didn't come out of our money cause some stuff we really didn't want and feel is a waste of our money. So far, our experience with Baywest has been very favourable. Our experience with Baywest is entirely positive. They made the experience of demolishing our old house and building a new one as painless as possible. We wanted a high quality family home suited to us and situated in a neighbourhood (Oakridge) which we love and Baywest delivered! I can truly say they went above and beyond and continue to do so (as our house is not quite completed yet)! 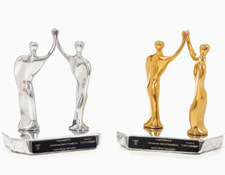 "This was a wonderful company to work with and the team at Baywest is amazing. Thanks. We love our new home"
All in all they were fairly good. They were professional and knew what they were doing. "Baywest is an exceptional company that builds quality homes, my only regret is that we didn't have the time to build from scratch. Our warranty contact Jamie Blakemore was attentive, professional, friendly and addressed any concerns immediately." We have had a great experience building a house with Baywest, the people involved were fantastic from beginning to end. We feel that the overall experience of building with Baywest was fantastic. We enjoyed all the steps of the process including deciding on plans, choosing exterior and interior finishes and watching the build. The quality of experience that Baywest provides puts them above the rest. Additionally, we feel that Baywest employees are very professional and suited for their positions. After reviewing a few home builders, we ultimately chose Baywest because we could see that we would end up with a home that was personalized to our needs and higher quality than the other builders in the area. After going through the entire process we feel that we were correct in our decision. We would definitely build with Baywest again and have been singing your praises since our move in. This is the second time we've built a home & considering we were very happy the first time we built (different builder), we came in with high expectations. Baywest did not disappoint & I continue to recommend them to everyone. Good quality workmanship and excellent warranty care. It's the second house that I have built with Baywest and I have had nothing but great experiences on both of them. For a few years now my boyfriend and I had been looking at homes to buy, but none of them really jumped out at us. When my mom mentioned the show homes in Nolan Hill I had to go check them out -as they were close to where we were living. My mom and I walked through a few of the show homes and when we got to the Market Street Mercato I fell in love! I wanted to bring my boyfriend back the next day. With little debate, we both decided this was the house we wanted to live in- and as a bonus we scored the last Baywest south facing backyard!! (Baywest Sales Consultant) Sandi Newell was a pleasure to work with throughout the whole process, no questions went unanswered and she helped us whenever she could, she was always very friendly and patient! We made weekly visits to our new house and Sandi was very good at sending me pictures when she caught something exciting going on! Clint was great to work with; he was very understanding and patient to us first time builders. Christa was very helpful with bringing all the colors we liked together and helping us select the best fit for us!! I would recommend Baywest to anyone. The house is amazing and there isn’t anything we don’t love about our new home!! Very good quality and craftsmanship. Baywest Homes Ltd has been a member of The Alberta New Home Warranty Program since January 14, 1986. Membership in the Program means adhering to rigorous membership standards. 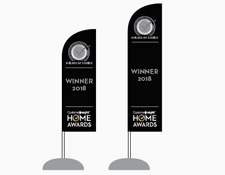 Baywest Homes Ltd is a member in good standing, and have achieved the rating of Accredited member with the Program; the highest possible rating. 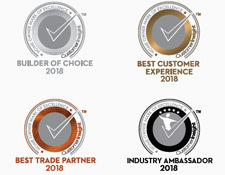 This rating is determined through a disciplined process that evaluates each Builder Members'operational performance based on criteria which includes: Technical Achievement (quality assurance program of the builder), Warranty Performance and Customer Satisfaction (Conciliation and Claims record), Business Practices and Resources (business expertise), and Financial Performance. 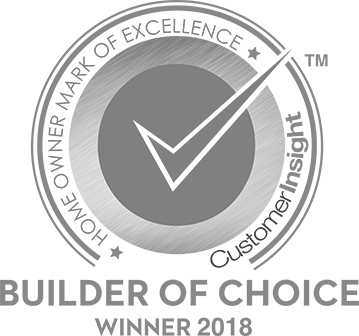 Baywest Homes Ltd has set a high standard of operational performance and The Alberta New Home Warranty Program is pleased to have them as a Builder Member.